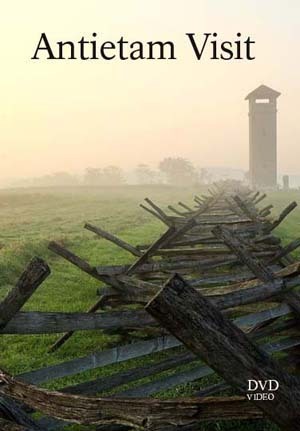 In Antietam Visit we learn about the bloodiest single day of the Civil War through Abraham Lincoln's eyes. Dramatic battle recreations, historical photographs, music, and period clothing appear throughout. Running time: 26 minutes. Bonus films on this DVD include John Brown's Raid: To Do Battle in the Land, Back to Harpers Ferry, and Springfield Armory.